Explaining the dramatic rise of incarceration in the United States has been surprisingly difficult. Theories abound, but they are continually defeated by the vastness and complexity of the American criminal justice system. For a time, the prime suspect was the War on Drugs, which President Obama described as “the real reason our prison population is so high.” Numerically, this never made sense, given that drug offenders are a small fraction of state prisoners.1 Mandatory minimums and three-strikes laws were tangible reforms that attracted a great deal of attention. But as causal explanations they, too, wither under scrutiny. “There’s not a lot of evidence that the amount of time spent in prison has changed that much,” as law professor John Pfaff recently observed.2 Even landmark pieces of federal legislation—think of the 1994 Violent Crime Control and Law Enforcement Act, which dogged Hillary Clinton during her 2016 campaign—probably had minor statistical impact. For now, the vanguard theory is that criminal prosecutors, at some point in the late twentieth century, changed their behavior. “The primary driver of incarceration is increased prosecutorial toughness when it comes to charging people, not longer sentences,” Pfaff wrote.3 This idea, most fully developed by Pfaff and by the late Harvard professor William Stuntz, rests on data from the National Center on State Courts, which appear to show that even as crime (and arrests) declined between 1994 and 2008, the number of felony cases filed by prosecutors sharply increased. The incarceration rise was a three-decade phenomenon (roughly 1975–2005), and it is not clear how well the prosecutor behavior thesis explains the early years, where relevant data are weaker or nonexistent. But it remains the best explanation we have. This theory has significant practical implications. It suggests that prison reformers have a daunting task ahead of them, because their efforts must be applied at the level of thousands of different coun­ties. This realization drew Stuntz’s attention to what economists call the agency problem, but in the context of county governance. In The Modern Corporation and Private Property (1932), Adolf Berle and Gardiner Means noted that the management of business corporations had become detached from the ownership of those corporations. Stuntz observed that American criminal justice “faces the same governance problem, but in worse form.”4 Since prosecutors are elected at the county level, suburbanization has given residents outside of cities—for whom crime is no longer a main concern—a great deal of power over urban criminal justice. These suburban voters are often indifferent to calls for reform, and the racial composition of this arrangement may explain some of the inertia. The prosecutor behavior theory also invites a rethinking of much of the intellectual history behind shifts in U.S. crime policy. Typi­cally underemphasized in standard accounts is the fact that crime rates began soaring in the same decade (1960–1970) that saw the prison population decline by more than twenty-five thousand people. The United States, at the time, had a relatively lenient justice system. (It wasn’t Nixon or Reagan but Hannah Arendt who issued the complaint, fairly representative of the late 1960s, that “the odds in favor of the criminal are so high that the constant rise in criminal offenses seems only natural.”5) The conse­quence was a surge of populist anger: street crime became a nationwide political issue that simmered for over a generation. The incarceration boom, however, wasn’t entirely a reaction to popular sentiment. Muddying that explanation is a curious fact, puzzled over by Pfaff and others: the public became more punitive, but prosecutors and policymakers even more so. Both started thinking about prisons differently. To some unquantifiable degree, the intellectual history of the era contributed to penal expansion. This is true despite the fact that criminologists tend to be pessimistic about their influence on public policy, even in comparison to other sociologists. A spelunker in the jstor archives will frequently come across titles like “Why Criminology Is Irrelevant” and hear complaints about “the limited influence of scientific knowledge on criminal justice policy.”6 This pessimism is easy to understand. In recent decades the most politically influential “crimi­nologists” tended to be interlopers and malcontents, and the two that loom the largest, perhaps, are Robert Martinson and James Q. Wilson. The first was a charismatic Freedom Rider who nearly destroyed the “rehabilitative ideal” or “treatment” ethos, eventually recanting his views before taking his own life. The second was the most eminent conservative political scientist of his generation, a man who helped construct what is now called “mass incarceration” out of the rubble of Martinson’s career. In the 1960s and early 1970s, a number of infamous social science “reports” not only polarized Left and Right but often widened divides between centrist liberals and the Far Left as well. Examples would include the 1965 Moynihan Report, a leaked Johnson admin­istration paper that warned about changes in African American family structure; the 1966 Coleman Report, a study commissioned by the U.S. Department of Education to scrutinize educational disparities between whites and blacks; and the 1967 Kerner Commission, an investigation into the causes of the Watts, Chicago, and Newark riots. Although the label is now mostly associated with foreign policy, it was in the heated controversies over these reports that the term neoconservative began to take on real meaning—referring to a small but influential group of Democrats who began to break ranks with their former political allies over the validity and interpretation of these studies. The Korean War interrupted his studies; then McCarthyism interrupted his Army service. The attorney general had placed the Socialist Youth League on a list of subversive organizations, and Martinson was brought before a military tribunal after disclosing his membership. He was a lowly private, but the trial was remarkably thorough. As he wrote to a friend, “They backed up this charge with a huge, five-pound secret file, containing . . . all the assiduous diggings of the FBI about my lurid past.”10 The outcome was a triumph of bureaucratic inscrutability. At first dismissed from the Army as an “undesirable,” he received a letter eighteen months later granting him an honorable discharge. In the 1950s, the most bourgeois social scientist in America could have endorsed this set of principles. The twenty-two-year-old Mar­tinson was describing the conventional wisdom of his own country, what legal scholar Francis Allen dubbed “the rehabilitative ideal”: the notion that the purpose of penal sanctions should be “to effect changes in the characters, attitudes, and behavior of convicted of­fenders,” so as to strengthen the social defense against bad behav­ior and to contribute to the offenders’ own welfare.12 This ideal was exactly what Martinson would become famous for attacking. Reading through the statements of the rehabilitative ideal, one notes a recurring pattern beyond the assertion of the ideal itself. There is a tendency to acknowledge that—while the rehabilitation of criminals is the nominal goal—correctional institutions often fail to live up to this ideal, and instead have come to embody more callous tasks like simple punishment or the warehousing of criminals. The historian David Rothman’s analysis of “the decline from re­habilitation to custodianship” in nineteenth-century prisons sounds almost exactly like the Lyndon B. Johnson Crime Commission’s analysis of contemporary ones. For well over a century, the social science literature followed the same wearying pattern, in which criminal justice professionals loudly announce the goal of rehabilitation and develop institutions for its realization. The next generation, having seen that these institutions diverged from their founding ideals, deplores the gap between creed and practice in the American prison system and, once again, loudly announces the goal of re­habilitation, then develops new institutions and procedures for its realization. Few bodies of professional literature are as numbingly repetitious as penal science between 1870 and 1970. Soon after 1970, though, the pattern abruptly stops. Not that prisoner rehabilitation efforts changed much in practice—genuine attempts at prisoner reform had always been sporadic and those efforts tended to lose their robustness quickly. But the ideal of rehabilitation largely faded from view. As Allen writes, the significance of the 1970s is the unprecedented degree to which the reha­bilitative ideal “suffered defections” not only from prison wardens, politicians, the media, and the public, “but also from scholars and professionals in criminology, penology, and the law.”17 The decline of the rehabilitative ideal was just that—the decline of a professional ideal. One should not be misled by the starry-eyed connotations of the word “ideal.” The decline of an ideal can be an event of enormous practical significance. Even if American prisons only haphazardly offered therapeutic programs for inmates, the rehabilitative ideal nonetheless influenced the everyday reality of criminal justice, at least until the 1980s. It stimulated the creation of many noteworthy innovations: parole and probation, juvenile custody, mental insti­tutions, and systems of “indeterminate” sentencing. All of these innovations were at bottom what Marc Plattner called the “practical concomitant[s]” of the rehabilitative ideal.18 Even if they failed to work as intended, they may have served a limiting function, diverting offenders away from the cell block. Martinson conducted a two-year study of “Treatment Ideology and Correctional Bureaucracy” in California youth prisons for his doctoral thesis. Although he swathed his normally vivid prose in the suffocating blanket of academic argot, a growing cynicism is not hard to discern: “Is the bureaucratization of a complex of ‘total institutions’ within a post-adjudicatory system an ominous development? . . . What are the implications of the permeation of ‘people-changing’ ideologies into complex correctional organizations?”20 His thesis was like most: it promptly sank into obscurity. Google Scholar gives it a single citation. What made his career, and ultimately destroyed it, was Governor Nelson Rockefeller’s need to do something—or look like he was doing something—about skyrocketing levels of crime in New York. The Rockefeller Committee launched its research effort amid growing doubts about the rehabilitative function of prisons. Leftists and conservative hard-liners formed the left and right flanks of what was, in effect, a pincer movement. They attacked rehabilitation for contradictory reasons. Typically, the Right argued that it was an ineffective waste of resources, while the Left thought it was insidiously effective. The great object of rehabilitation was the “moral regeneration” of the inmate, but the Left at the time proudly rejected the moral values of the liberal center. Thus Jessica Mitford, the author of Kind and Usual Punishment (1973), located the true purpose of treatment in making disaffected “lower-class persons” conform to a “Christian middle-class ethic.” For Mitford, as for much of the Left, rehabilitative treatment was—“and ever shall be”—a mechanism for exerting control over the inmate population while “assuaging the public conscience” with compassionate-sound­ing talk about rejecting punishment in favor of rehabilitation. It was often the case, Mitford argued, that “dangerous” criminals in need of “reform” turned out to be “the political nonconformist, the mal­content, [or] the inmate leader of an ethnic group.” Concern for socialization and moral improvement, therefore, was an insidious cover for the biddings of power. Initially, state officials suppressed the results of the Rockefeller study. They considered the findings a disturbing threat to rehabilitation programs they were committed to sustaining, with or without empirical sanction. Too much money and too many correctional jobs hung in the balance. As the study began to acquire “something of an underground reputation” among criminal justice professionals, a New York attorney teamed up with Martinson to get a subpoena issued in a Bronx Supreme Court case. Subsequently, the state relented and gave permission to publish. The results were twofold: a gargantuan, seven-hundred-page volume, and a shorter, punchier 1974 article in the Public Interest—“What Works?—Questions and Answers about Prison Reform.”28 Martinson wrote the article inde­pendently. Lipton took a less pessimistic view of the results, so Martinson took it upon himself to provide an unvarnished account of what the team had found. This became known as the “nothing works” doctrine, and in this crude form it was frequently invoked by policymakers. Almost everyone, Left or Right, who had grievances with the criminal justice system cited it abundantly, and with vindictive satisfaction. “I’m sure you’ll find the Martinson piece especially interesting,” Irving Kristol, an editor of the Public Interest, wrote to liberal journalist Tom Wicker. “Just don’t let it depress you too much!” Mainstream criminology also registered an instant change. As early as 1976, Stuart Adams observed a “visible impact on criminal justice practitioners and opinion leaders alike,” a phenomenon which he dubbed “Martinson-shock.” Science magazine reported that William Saxbe, attorney general under Nixon and Ford, had been “strongly influenced” by the report, and the dean of the University of Chicago Law School used the keynote address at the 1975 Congress of Corrections to urge his colleagues to set aside—at least for the time being—the goal of rehabilitation.30 All told, Martinson provoked a lengthy period of soul-searching in the profession, one which opened it up to new ideas, especially those coming from the Right. Martinson’s view that the rehabilitative ideal was the linchpin of the prison system was widely held at the time. It struck many criminal justice experts as something close to a logical inexorability that, in its absence, prisons would start to disappear. As it turned out, they read too much into what one academic called “the philosophical problem” of the treatment ethos: “If rehabilitation is the object, and if there is little or no evidence that available correctional systems will produce much rehabilitation, why should any offenders be sent to any institutions?”36 Many criminologists drastically underestimated the possibility of any alternative justifications. The academic who described this “philosophical problem” was James Q. Wilson, a distinguished political scientist who brought “What Works?” to the editors of the Public Interest.37 Wilson was one of the top experts on bureaucracy and public administration who regularly served as an adviser to Republican presidents. When he died in 2012, the obituaries highlighted his “broken windows” theory, codeveloped with George Kelling, which put forth a hypothesis about crime (“disorder and crime are . . . inextricably linked, in a kind of developmental sequence”) and a policing strategy to go with it. Almost none of the tributes mentioned his earlier foray into criminology, however, though it was probably more significant. Wilson’s rhetorical style was well suited to his political niche. His commonsensical manner gave him authority not only with the educated layman but with a new generation of conservatives. Irving Kristol once remarked that the self-imposed task of neoconservatives was “to explain to the American people why they are right, and to the intellectuals why they are wrong.” He was at least half right. The early neoconservatives were influential because they could explain social science, not necessarily “to the American people,” but to important people on the right and in the center. Or at least they could explain why social science was on their side. Wilson’s contribution to “policy analysis” was that we could reduce the crime rate by sending more people to prison. At a 1975 White House seminar for the benefit of Attorney General Edward Levi, a notetaker wrote down his overriding suggestion: “increase prison intake > decrease crime rate.”46 It may sound odd to call this an innovative thought, but it was. “I remember being shocked at seeing his article [“Lock ’Em Up and Other Thoughts on Crime,” a selection from Thinking about Crime published in the New York Times], because it was so completely new,” Charles Murray recalls. “Among academic elites, hardly anyone . . . was on his side at that time.”47 Prisons have traditionally served three functions: rehabilitation, deterrence, and “incapacitation” (or physically restraining of­fenders so they cannot offend again). In a conceptual landscape newly flattened by Martinson’s assault on the rehabilitative ideal—at a time when prisons were a practice in search of a policy—Wilson sought to elevate the third and most basic function, something which had seldom received scholarly attention. The “incapacitation” campaign forked into an academic debate (the National Academy of Sciences got involved) and an informal policy persuasion. The latter was much more important. At a time of criminological turmoil and confusion, Wilson’s clarity was a tonic. The GOP leadership in Pennsylvania distributed Thinking about Crime to all Republican members of the legislature for their use in criminal justice planning.53 Governor Jerry Brown of California, a Democrat, ordered the book via air mail shortly before giving a ma­jor crime speech. After seeing the result, Wilson wrote to a colleague, “If he were a scholar, I’d accuse him of plagiarism!”54 In their book Incapacitation (1995), the criminologists Franklin Zimring and Gor­don Hawkins flag a 1975 Gerald Ford speech at a Yale Law School convocation dinner as a symbolic turning point—a “remark­able example of presidential prescience and sophistication.”55 They were apparently unaware that the speech, almost from start to finish, was based on Wilson’s ideas. It is still possible to argue that the first doubling of prison and jail capacity from its post-1960s low point of about 500,000, in the face of the great crime wave, was justified by necessity and by the gains in reduced victimization and fear that came from locking up some very high-rate serious criminals. But there is nothing to be said for the more-than-doubling from that already historically high level. Wilson himself was more equivocal. Fêted for contributing to the great crime decline beginning in the 1990s, he even received the Presidential Medal of Freedom in 2003.57 But his later years were marked by a certain defensiveness. He agreed that America had too many people behind bars, at least for certain categories of crime, but he also complained that his critics neglected the advantages of the prison system as it currently stood. In 2008, as a guest blogger at The Volokh Conspiracy, Wilson faced criticism from commenters about the size of the U.S. prison population, which by then had swollen to historic proportions. He tried to deflect attention away from himself, arguing that the American justice system had diverged from Europe because the United States was more democratic. “American policies were driven by public opinion while British ones were shaped by elite preferences,” he wrote.58 While there may be something to this argument, there can be no doubt that, at least for a crucial period in the late twentieth century, public opinion and elite preferences in America converged on the benefits of “incapacitation,” thanks in large part to Wilson himself. Martinson’s final years, in contrast to Wilson’s, were one of the sadder dénouements in the annals of social science. He maintained a belief in the evils of prison, but as the 1970s dragged on—and as the emerging punitive turn became dimly visible—he anxiously tried to find noninstitutional ways to break the crime wave and undercut the hard-liners. By the end of the decade, Martinson faced an even greater humiliation. He recanted the view which had made him famous, acknowledging—on the basis of academic critiques and his own new research—that his previous work had been “misleading.”63 Few people noticed. Mainstream outlets did not report on his turnabout, and the “nothing works” meme lived on. They also didn’t print any­thing when, on August 11, 1979, Martinson leapt to his death from the fifteenth floor of his Manhattan apartment. 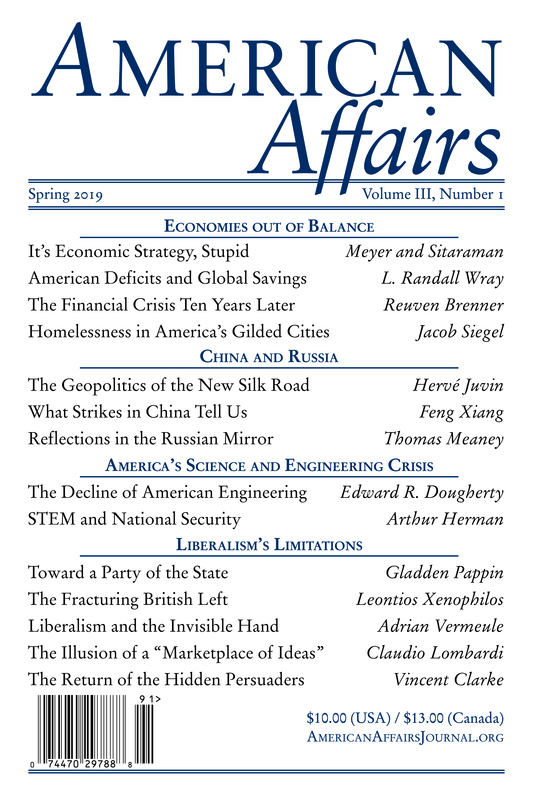 This article originally appeared in American Affairs Volume II, Number 3 (Fall 2018): 144–66. 1 Oliver Roeder, “Releasing Drug Offenders Won’t End Mass Incarceration,” FiveThirtyEight, July 17, 2015. 2 John F. Pfaff, Locked In: The True Causes of Mass Incarceration and How to Achieve Real Reform (New York: Basic Books, 2017), 6. 4 William J. Stuntz, The Collapse of American Criminal Justice (Cambridge: Belknap Press, 2011), 38. 5 Hannah Arendt, On Violence (New York: Harcourt, Brace & World, 1970), 98. Arendt was also worried that lackluster police efficiency would make police brutality more likely. 6 James Austin, “Why Criminology Is Irrelevant,” Criminology and Public Policy 2, no. 3 (July 2003): 557–64; Michael Tonry, “Evidence, Ideology, and Politics in the Making of American Criminal Justice Policy,” Crime and Justice 42, no. 1 (August 2013): 1–18. 7 Nathan Glazer, “Introduction,” in The Public Interest on Crime and Punishment, ed. Nathan Glazer (Lanham: University Press of America, 1984), xi. 9 Irving Krauss to 1st Lt. Erwin Friedman, February 6, 1955. This letter was part of the trial documents that were kindly provided to me by Robert’s son Michael C. Martinson. There were also letters on Martinson’s behalf from Norman Thomas and Robert Nisbet, among others. 10 Robert Martinson to “Friend,” October 20, 1956. This letter was included in the trial documents. 11 Robert Magnus, “Anti-Labor Despotism in the Stalin Legal Code,” Labor Action 13, no. 29 (July 18, 1949): 4. 12 Francis A. Allen, The Decline of the Rehabilitative Ideal: Penal Policy and Social Purpose (New Haven: Yale University Press, 1981), 2. 13 Nils Gilman, Mandarins of the Future: Modernization Theory in Cold War America (Baltimore: Johns Hopkins University Press, 2003), 16. 14 Allen, 19. In context, Allen is speaking more about institutions like schools and the family. 15 Marc F. Plattner, “The Rehabilitation of Punishment,” Public Interest 44 (Summer 1976): 104. 16 This passage draws from Jessica Mitford, “Prisons: The Menace of Liberal Reform,” New York Review of Books 18, no. 4 (March 9, 1972). 19 Robert Martinson, “Prison Notes of a Freedom Rider,” Nation (January 6, 1962): 4–6; Adam Humphreys, “Robert Martinson and the Tragedy of the American Prison,” Ribbonfarm (December 15, 2016). Humphreys is a Canadian filmmaker with a forthcoming documentary on Martinson and his legacy. 20 Robert Martinson, “Treatment Ideology and Correctional Bureaucracy: A Study of Organizational Change” (PhD diss., University of California, Berkeley, 1968). 21 Statement by Governor Nelson A. Rockefeller at public hearings of the Governor’s Special Committee on Criminal Offenders, held at the New York County Lawyers’ Association, New York City, October 14, 1966, Folder 1721, Box 47, N. A. Rockefeller Gubernatorial Records, Rockefeller Archive Center. 22 Author interview with Douglas Lipton on June 4, 2017. 23 An irony is that the academic term “carceral state,” which has arisen in scholarly discussions of mass incarceration, derives from the final chapter of Foucault’s Discipline and Punish. The argument of that chapter is that the prison as a specific location has become relatively less important, since the boundaries between prison and society have started to blur. Foucault suggests that disciplinary ideologies are growing insidiously stronger and diffusing through multiple institutions. At least in the American case, the hegemony of treatment collapsed as soon as his book went to print, and the prison as a specific, singular institution was about to become more important than it had ever been. 24 Robert Nisbet, “Many Tocquevilles,” American Scholar 46, no. 1 (Winter 1977): 67. 25 Robert Martinson, “The Age of Treatment: Some Implications of the Custody-Treatment Dimension,” Issues in Criminology 2, no. 2 (Fall 1966): 275–93. 26 Charles Murray, Losing Ground: American Social Policy, 1950–1980 (New York: Basic Books, 1984), 148. 27 Joseph F. Spillane, Coxsackie: The Life and Death of Prison Reform (Baltimore: Johns Hopkins University Press, 2014), 200. 28 Robert Martinson, “What Works? Questions and Answers About Prison Reform,” Public Interest (Spring 1974): 22–54; Douglas Lipton, Robert Martinson, and Judith Wilks, The Effectiveness of Correctional Treatment: A Survey of Treatment Evaluation Studies (New York: Praeger, 1975). I also draw on Humphreys for this paragraph. 29 The segment carried the unambiguous title “It Doesn’t Work,” Mike Wallace/CBS, 60 Minutes, August 24, 1975; see also Sasha Abramsky, American Furies: Crime, Punishment, and Vengeance in the Age of Mass Imprisonment (Boston: Beacon Press, 2007), 43–58. 30 Irving Kristol to Tom Wicker, April 3, 1974, Folder 34, Box 22, Series: The Public Interest, Irving Kristol Papers, Wisconsin Historical Society; Stuart Adams, “Evaluation: A Way Out of Rhetoric,” in Rehabilitation, Recidivism, and Research, ed. Matthew Matlin (Hackensack: National Council on Crime and Delinquency, 1976), 75–91; Constance Holden, “Prisons: Faith in ‘Rehabilitation’ Is Suffering a Collapse,” Science 188, no. 4190 (May 23, 1975): 815–17; Norval Morris, Keynote Address, 105th Congress of Corrections, Louisville, August 18, 1975. 31 Francis T. Cullen, “The Twelve People Who Saved Rehabilitation,” Criminology 43, no. 1 (2005): 1–42. 32 Ted Palmer, “Martinson Revisited,” in Rehabilitation, Recidivism, and Research, ed. Matthew Matlin (Hackensack: National Council on Crime and Delinquency, 1976), 41–62. 33 Robert Martinson, “California Research at the Crossroads,” in Rehabilitation, Recidivism, and Research, ed. Matthew Matlin (Hackensack: National Council on Crime and Delinquency, 1976), 63–74. 34 Irving Kristol to Robert Martinson, December 16, 1975, Folder 34, Box 22, Series: The Public Interest, Irving Kristol Papers, Wisconsin Historical Society. 35 Martinson’s four-part series “The Paradox of Prison Reform” ran from April 1, 1972 to April 29, 1972 in the New Republic. 36 James Q. Wilson, Thinking about Crime (New York: Basic Books, 1975), 170–71. 37 Nathan Glazer: “I did recall but vaguely that it was brought to us by Jim Wilson” (email message to author, June 23, 2017). 38 “To turn burglars into Rotarians” is Mark Kleinman’s phrase, used in a discussion of Wilson: “Thinking About Punishment: James Q. Wilson and Mass Incarceration,” NYU, Marron Institute of Urban Management, Working Paper #11, June 26, 2014. 39 Wilson, Thinking about Crime, 172–73. 40 James Q. Wilson, “Politics, Crime, and Society,” Discourses: Papers on Politics, Policy, and Political Theory 1 (Chicago: Loyola University of Chicago, 1975). A transcript of a talk given on October 21, 1975. 41 M. J. Sobran Jr., “Clarity About Crime, Class,” National Review (August 29, 1975): 948. 42 Wilson had more respect for economists because they aren’t focused on causality “in any fundamental sense.” He was influenced by Gary Becker’s rational-actor theory of crime, although he embraced a weaker version of it. Wilson combined this with an interest in “constitutional”—i.e., biological—factors, something evident in Thinking about Crime but greatly expanded on in Crime and Human Nature (1985), coauthored with Richard Herrnstein. Critics seized on the combination as logically contradictory, which is silly. Both can be true—or what’s more important to Wilson, both can be useful—to varying degrees and in various circumstances. Both have the effect of starkly individualizing the criminal—divorcing him from social context—which is why academics like to call Wilson “neoliberal” almost as much as neoconservative. 43 For causal vs. policy analysis, see Wilson, Thinking about Crime, 43–63. 45 Box 9, Folder “Crime Message (1) – (2),” James E. Connor Files. Gerald R. Ford Presidential Library; the president himself thought Wilson’s ideas were “most interesting & helpful.” Box C17, Folder “Presidential Handwriting 3/29/1975 (1),” Presidential Handwriting File. Gerald R. Ford Presidential Library; Ford wrote about Wilson’s influence in his memoir A Time to Heal (New York: Harper & Row, 1979), 269. 46 Box 3, Folder “James Q. Wilson,” Robert A. Goldwin Files, Gerald R. Ford Presidential Library. 47 Charles Murray, email message to author, February 6, 2013. 48 Author interview with Shlomo Shinnar on July 13, 2018; Shlomo Shinnar and Reuel Shinnar, “The Effects of Criminal Justice on the Control of Crime: A Quantitative Approach,” Law and Society Review 9, no. 4 (Summer 1975): 581–612. The two-thirds cut in the crime rate would be for a set of “serious” crimes. Reuel Shinnar had been working on this topic since the 1960s, but was rebuffed by the criminological establishment until the political environment changed. In fairness to the Shinnars, a study sponsored by the National Academy of Sciences concluded that while their study rests on simplified assumptions, it represents “the best approach to estimating the incapacitative effect to date.” Jacqueline Cohen, “The Incapacitative Effect of Imprisonment: A Critical Review of the Literature,” in Deterrence and Incapacitation: Estimating the Effects of Criminal Sanctions on Crime Rates, eds. Alfred Blumstein, Jacqueline Cohen, and Daniel Nagin (Washington, D.C.: National Academy of Sciences, 1978), 187–243. 49 Wilson, Thinking about Crime, 200–1. 50 James Q. Wilson, “How Crowded Prisons Throw Sentencing out of Whack,” Washington Star (November 21, 1976): F-1. 51 Box 3, Folder “James Q. Wilson,” Robert A. Goldwin Files. Gerald R. Ford Presidential Library. 53 See Jerome G. Miller, Search and Destroy: African-American Males in the Criminal Justice System (Cambridge: Cambridge University Press, 1996), 272. 54 Box 3, Folder “James Q. Wilson,” Robert A. Goldwin Files, Gerald R. Ford Presidential Library. 55 Franklin E. Zimring and Gordon Hawkins, Incapacitation: Penal Confinement and the Restraint of Crime (New York: Oxford University Press, 1995), 18. Significantly, Zimring and Hawkins wrote in the mid-1990s that incapacitation “now serves as the principal justification for imprisonment in the American criminal justice system,” whereas it hadn’t before. Emphasis mine. 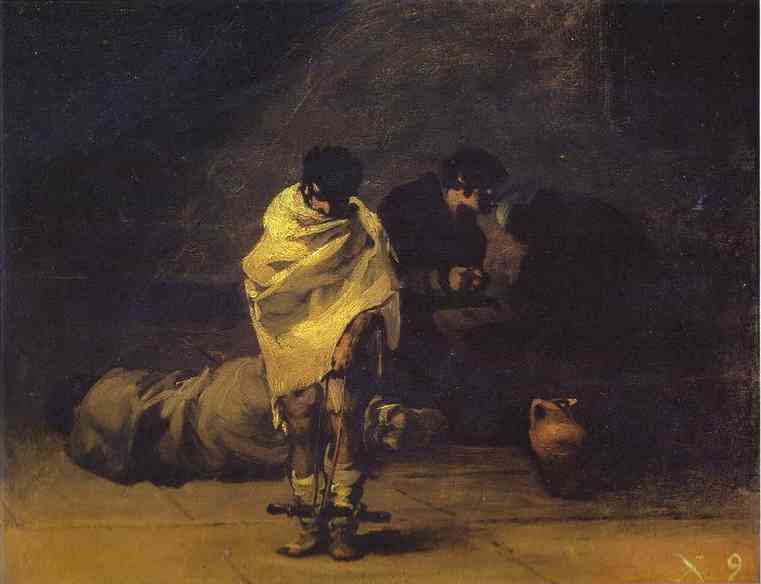 56 Kleiman, “Thinking about Punishment,” accessed online. Kleiman notes that he has come to realize that his calculation was flawed. It didn’t calculate the benefits of what was supposed to be a cost-benefit calculation. 57 Studies on the effect of prison on the decline of the crime rate vary widely in their estimates. “The best scholars,” according to Wilson, attribute 25–30 percent of the decline to imprisonment. Some scholars give it much less credit. 58 James Q. Wilson, “What Do We Get From Prison?,” The Volokh Conspiracy (blog), June 9, 2008. 59 Lee Wohlfert, “Criminologist Bob Martinson Offers a Crime-Stopper: Put a Cop on Each Ex-Con,” People, February 23, 1976; Patricia Masterman, “Abolish Parole Board, Expert Urges at Hearing,” Amarillo Globe‑Times, November 7, 1975, 1–2. 60 Robert Martinson to Irving Kristol, December 21, 1975, Folder 34, Box 22, Series: The Public Interest, Irving Kristol Papers, Wisconsin Historical Society. 61 Irving Kristol to Robert Martinson, January 13, 1976, Folder 34, Box 22, Series: The Public Interest, Irving Kristol Papers, Wisconsin Historical Society. 62 Mirko Bagaric, Dan Hunter, and Gabrielle Wolf, “Technological Incarceration and the End of the Prison Crisis,” Journal of Criminal Law and Criminology 108, no. 1 (Winter 2018): 73–135. 63 Robert Martinson, “New Findings, New Views: A Note of Caution Regarding Sentencing Reform,” Hofstra Law Review 7, no. 2 (Winter 1979): 243–58. Timothy Crimmins is a graduate student in history at the University of Chicago.